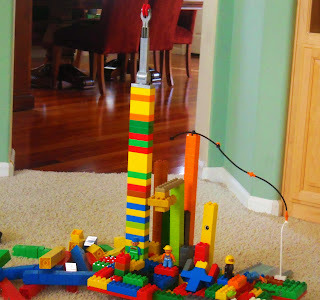 Our next LEGO Club is tomorrow, Thursday, March 18th, from 3-4 PM at our house. The theme for LEGO Club this week is the new LEGO Games. 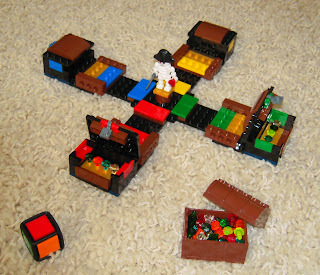 We bought our first LEGO game called "Pirate Code." We'll be playing this game, as well as designing our own version of a LEGO game. There will be prizes for everyone who designs their own LEGO game. "The outdoor restaurant has a bunch of tables and can turn into a beach and a swimming pool. It has five and a half stars, and the LEGO figures really like it."